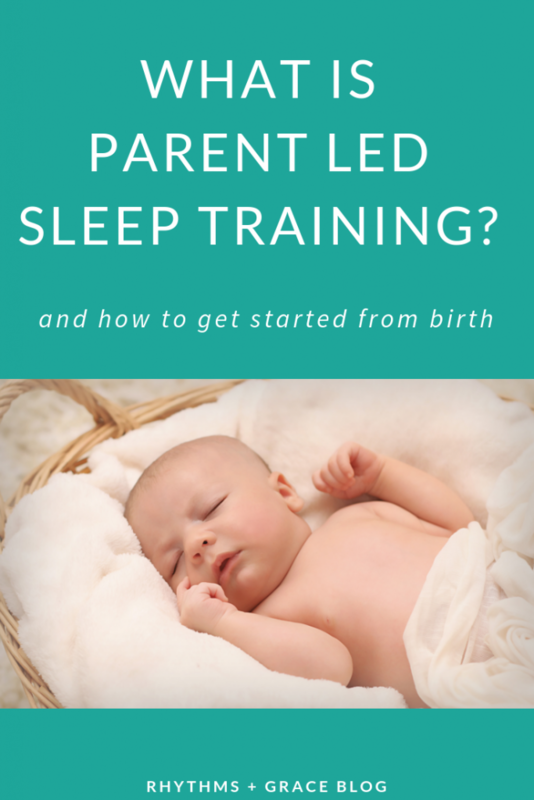 How to Sleep Train with a Parent Led Method & Teach Newborn to Sleep! 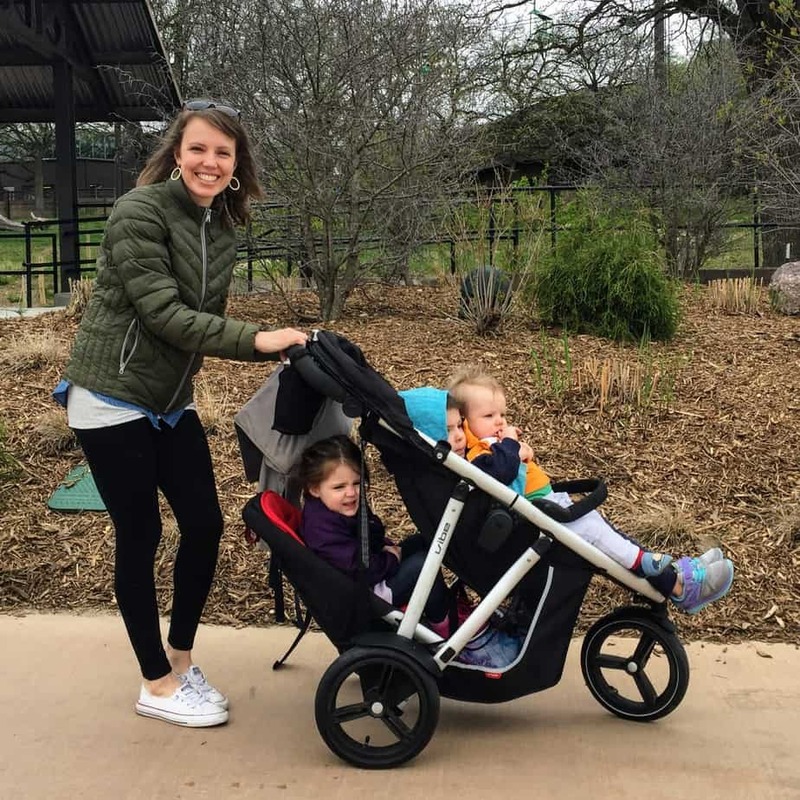 There is a lot of advice about how to sleep train out there… everything from “dictate your baby’s life down to the minute” TO “my baby sleeps whenever they want and I never know what to expect.” We have taken what we call a holistic, parent-led approach in our sleep training. Parents observe their children, and make the choices they think are best for each child, the family, and the home. Learning how to sleep train with a parent led approach means observing your baby from the beginning and making the best choices for that baby to become a good sleeper and healthy baby. We have also taken a parent led approach to all our parenting. Hence the subtitle of this entire website… creating a parent led, grace filled home. 😉 You can read more details and practical tips about the wholistic parent led home approach in this post. Your baby basically needs sleep, food, and love. And as the parent, you have the choice to either let the child determine how and when their needs are met (child-led) or to let the parent determine how and when the child’s needs are met based on your observation of the child. We know based on research that newborn babies, if they are given a full feeding, need to eat about every 2.5- 3 hours. So, you make an effort to get your baby a full feeding when they eat, rather than letting them nurse for 5 minutes and fall back asleep. (I actually cover full feedings more in depth in my sleep training guide and you can read the full feedings chapter for free by clicking the button below. EXAMPLE #2: something is wrong. Your baby generally takes 1.5 hour long naps throughout the day, but suddenly wakes after 45 minutes crying loudly! Since this is unusual, you know to go in there and check on her. When you pick her up, she has some gas and eventually a bowel movement and you determine she was not hungry, but rather experiencing some indigestion pain. If this were to continue, you could think about adjusting your diet. If you nurse baby to calm them down every time, it’s harder to distinguish when they’re in pain or needing something, and when they’re actually hungry. EXAMPLE # 3: you had a busy morning and baby won’t stop crying. You know baby usually naps for 1.5 hours from 9-10:30. This morning you were out and about and baby only got a 20 minute snooze in the car. When you get home at 11:30, the baby is very upset and won’t stop crying. While you might usually be feeding the baby some baby food and having playtime right now, you know the baby is tired because he missed his normal nap. So you give him a bottle and lay him down as fast as possible. He crashes and takes a 2.5 hour nap. Usually, you’d wake him from a nap after 1.5 hours as is per his routine, but because you were out all morning you decide to let him sleep. In all 3 examples, you see how the parents have established the norms and how they can react in various situations. Ultimately, how to sleep train (and do everything in your home) is up to you. You are either choosing to have a parent led home or a child led home. Both choices are ultimately yours! Wake your baby to eat every 3 hours during the day. Don’t let them sleep through a feeding. Don’t nurse your baby to sleep, except at the bedtime feeding. Teach baby how to self-soothe. Don’t rush in to get them at the first peep they make during a nap. See if they can get themselves to sleep. These are principles, not militant rules. There’s a lot of situations where you need to make a judgement call based on your observations of baby. You can read the rest of my posts on how to sleep train here. 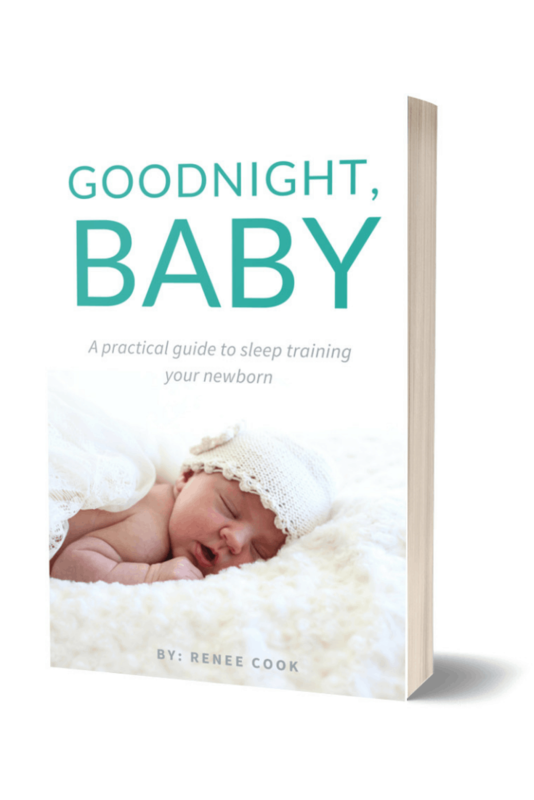 My sleep training guide has a step by step process for establishing consistent routines, and getting baby to sleep through the night ASAP. It also includes lots of trouble-shooting tips and scenarios you might encounter. The 2 most important principles of parent-led sleep training are full feedings and getting baby on a 3 hour schedule. You can read the step-by-step details about those 2 principles and start implementing them ASAP for free by clicking the button below. As always, feel free to ask questions ABOUT HOW TO SLEEP TRAIN in the comments or get in touch via email. You tried Susan’s book or mine? 🙂 I haven’t read hers! or heard of it until another commenter posted about it the other day! I wonder if our approaches are similar? I’ve heard about Susan Urban’s book before and was not so sure about this. But when I tried – I changed my mind! It’s totally cool that just few pages of information are changing your life this much this fast. The book rules the bedroom! I sleep trained my baby with this very gentle HWL method that Susan Urban wrote about ( I’ve found her guide on this website: http://www.parental-love.com ). The method is without CIO and that’s why I gave it a try. I started at 6mo and after only 3 days my son started to sleep 12 hours straight and he falls asleep on his own! No night wakings, no cry, no rocking. Amazing!